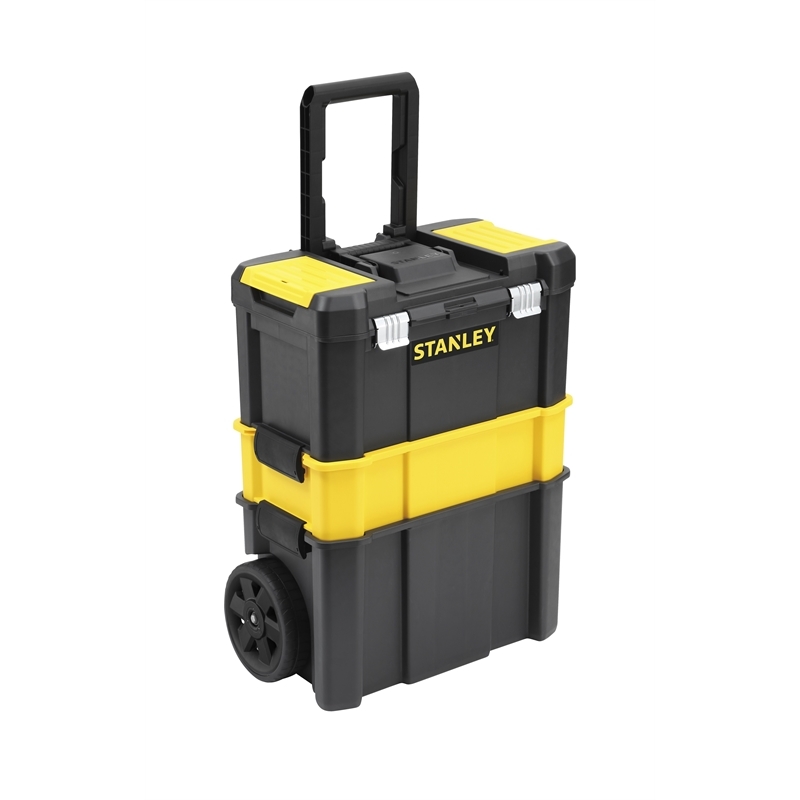 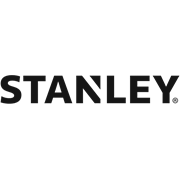 The STANLEY Essential Rolling Workshop is a perfect mobile storage solution, constructed from plastic for added durability and enhanced longevity. The three tier workshop consists of a large bin which is ideal for storing multiple large power tools. 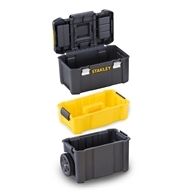 There is an interchangeable middle tot tray module which can be added or removed depending on your organizational needs. 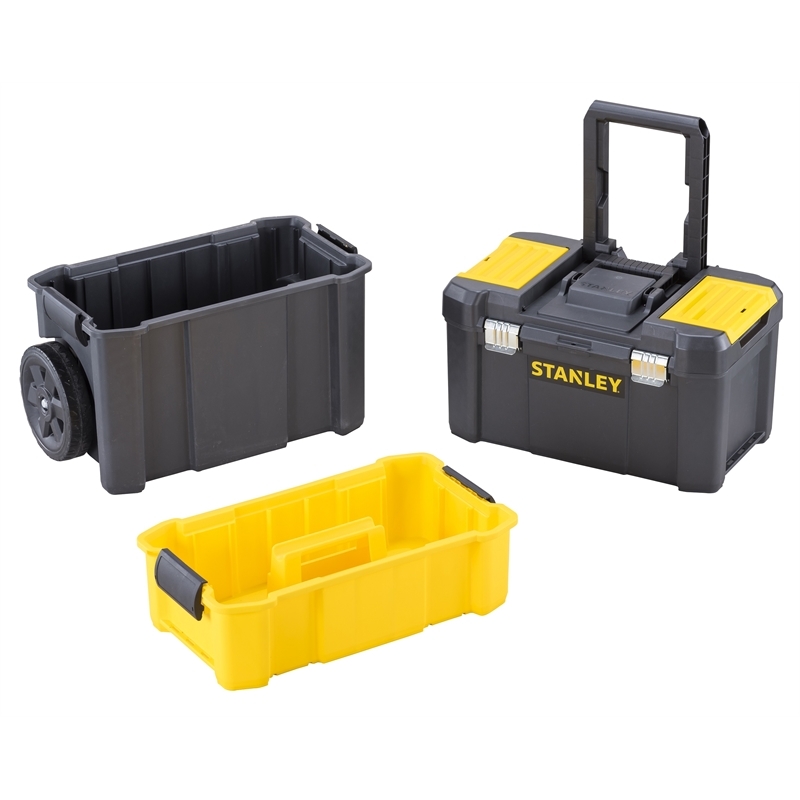 The 18’’ Top toolbox with geometric heavy duty metal latches enables smooth opening and closing of the lid. The top foldable handle and large 7’’ coated wheels make this workshop easy to manoeuvre during transportation. The organisers allow for small parts storage such as screws, wall plug, bolts and nuts.